I just got the China Glaze Summer Neons collection…and they are amazing! I love all the colors. I actually only ordered eight of the colors, but was sent the entire set of twelve by mistake (whoo-hoo!). These colors are by far the most vivid, easy-to-apply neon polishes. 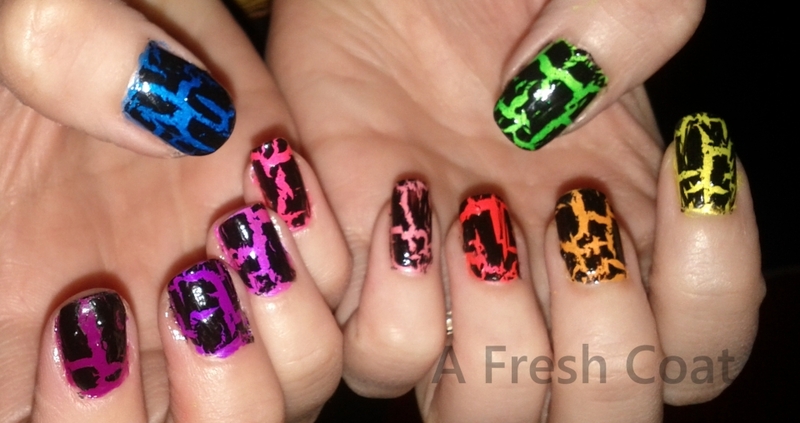 I felt a neon crackle rainbow would be appropriate as my first polish test.